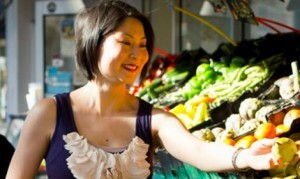 Join Joyce Watts of CycleStyle and Mel : HOT OR NOT on the final of Squeaky Wheel’s Westside foodie tours for women. Thanks to the support of Maribyrnong City Council we’re very happy to be able to bring you a Riverside Picnic, the final in our series of foodie cycling tours for women of the west. Joyce will lead us through the gastronomic delights of the west as we shop for picnic items before meandering along the picturesque Maribyrnong River to our scenic picnic spot. This is one bicycle tour that won’t be leaving you hungry and as a bonus, you’ll also be building your confidence getting around the west on a bike with a bunch of like-minded ladies. Join us over ninety minutes on Saturday October 17th. We’ll be kicking off at 12:30pm from Olympic Doughnuts in Footscray and any ride that starts with doughnuts has just got to be good! From there we’ll follow Joyce Watts as she introduces us to some of her favourite local purveyors of picnic essentials. There’s only twelve places on this ride. Tickets are $15 per person and they’ll fill up fast so be sure to book your ticket and make sure you don’t miss out. Is there a better way to spend a spring Saturday afternoon? This series of Westie Womens Foodie Rides are a Maribyrnong City Council Gender Equity initiative. This ride is suitable for riders over twelve years old who are comfortable in light-medium traffic. The ride will be conducted at a relaxed adult pace. All participants must have a roadworthy bicycle, wear a helmet and follow ride leader instructions at all times.